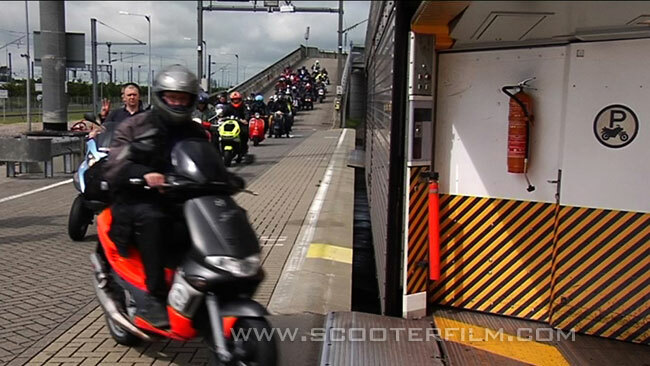 Scooter Scene - Reloaded in the news! 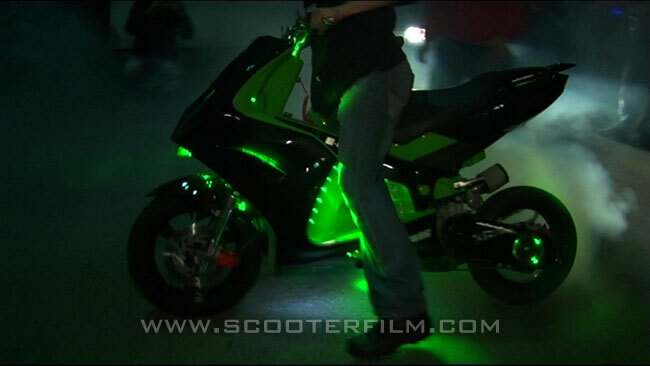 For reviews and articles click here. 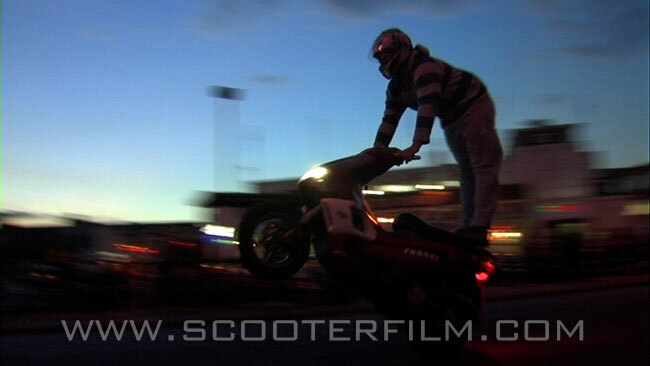 Our second feature documentary is exploring the fast growing scene of automatic scooter enthusiasts. 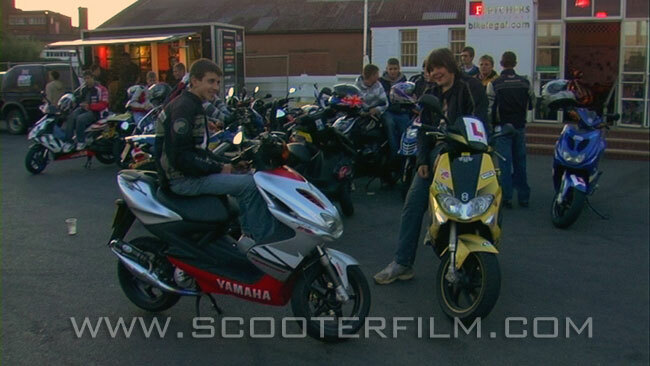 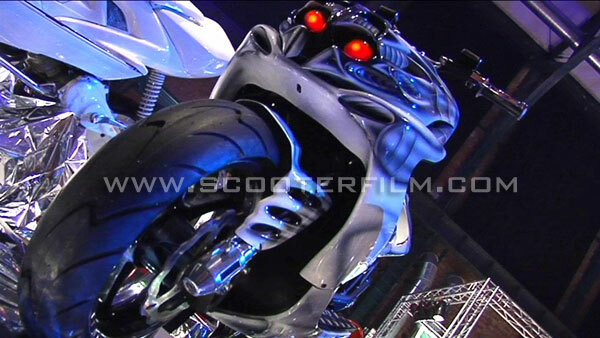 Please find stills of "Scooter Scene - Reloaded" below. 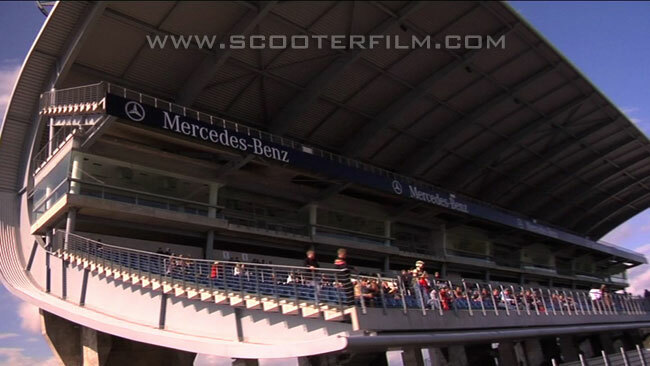 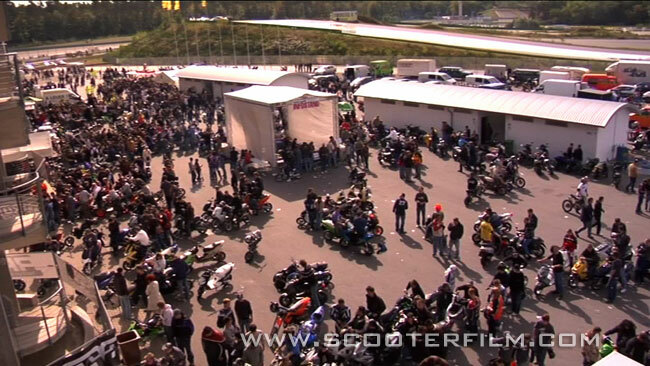 Over 7000 scooter fans from all over Europe visited the highlight of the year. 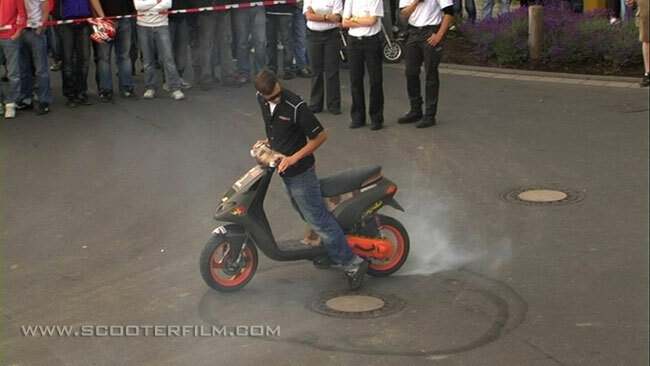 This fantastic event featured the famous F1 race track, quarter mile racing, a custom show, a stunt show and a burn out contest. 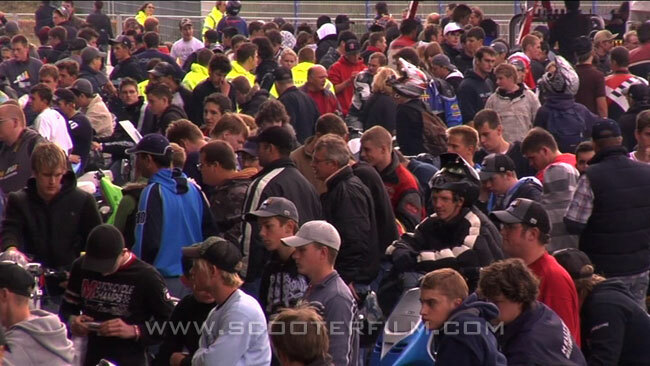 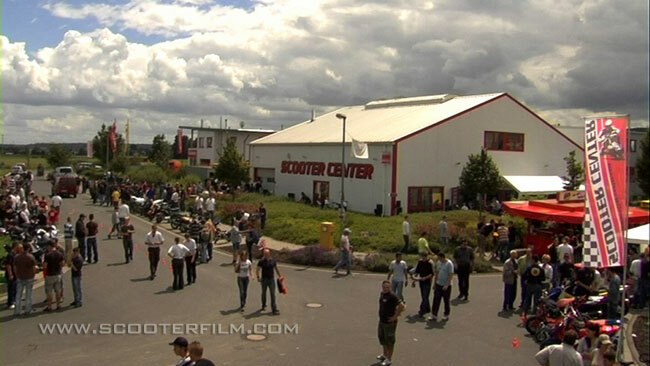 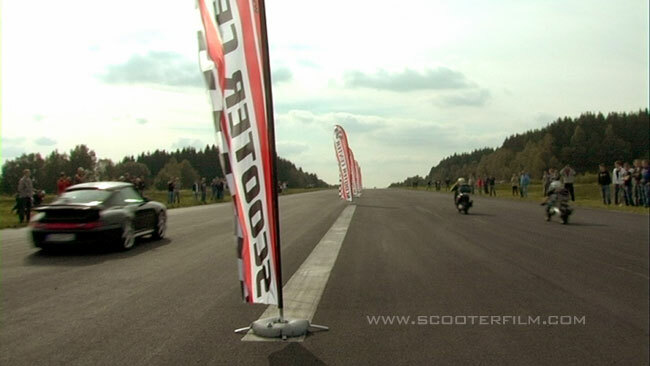 More than 500 scooter fans visited the open day of Scooter Center in Cologne, Germany. 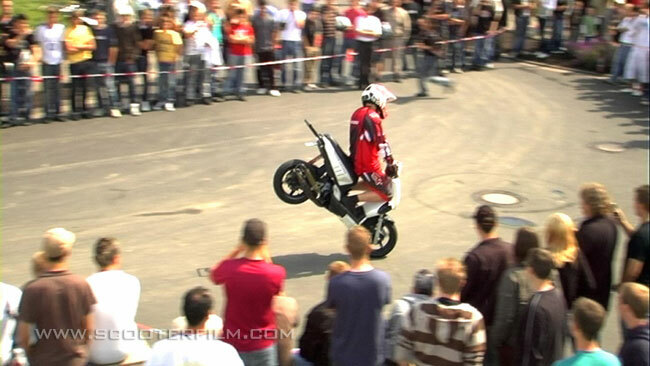 A good day out with a custom show and a great stunt show. 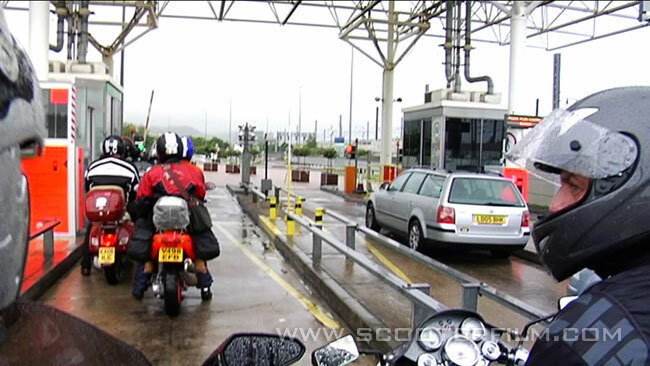 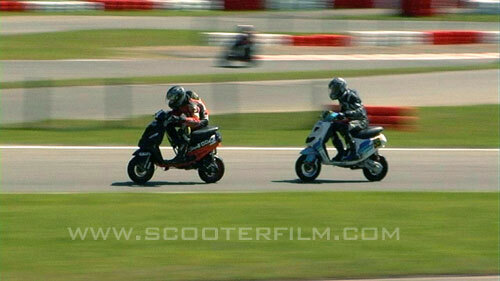 An endurance test for the scoots! 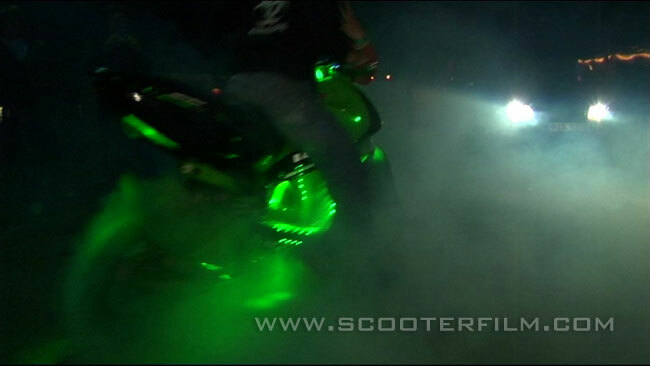 Interested in the Darkside? 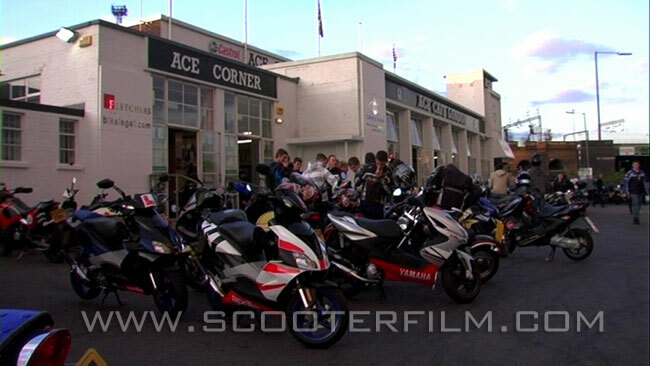 A movement of English Scooterists who took a big step from classic scooters to twist'n'goes. 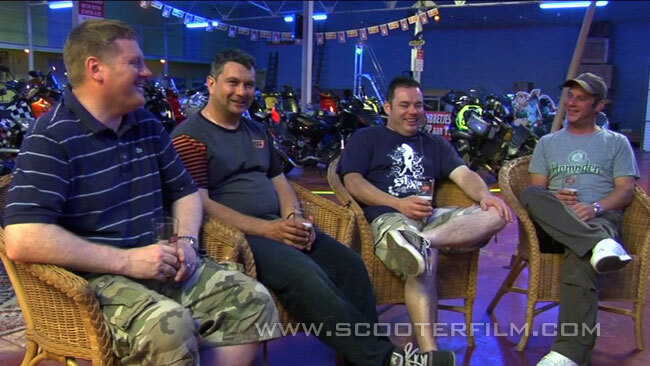 We have joined them on a trip to Belgium to find out what the fuss is all about. 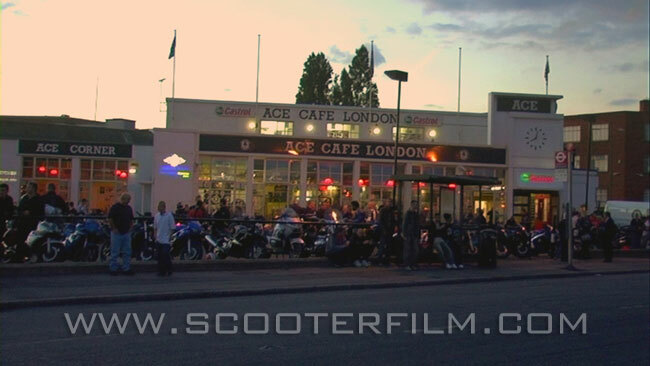 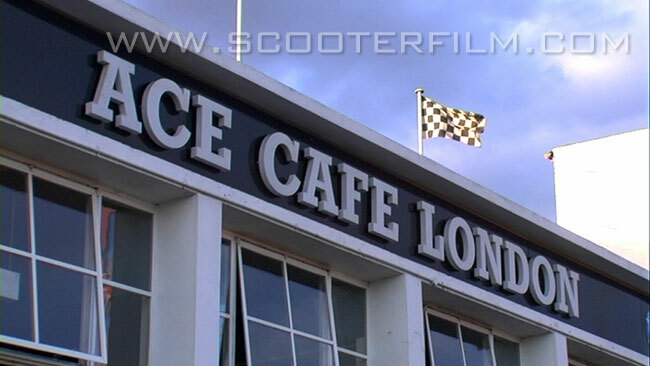 We visited the monthly twist'&'go night at the legendary Ace Cafe in London. 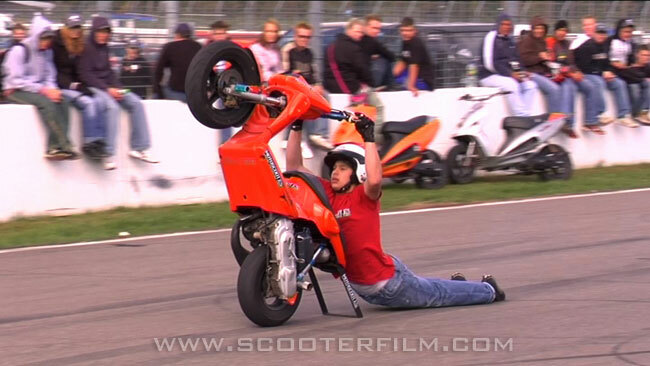 We had a good time watching the wheelies on the A40. 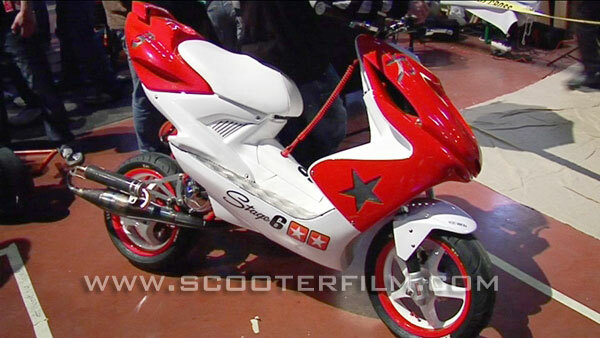 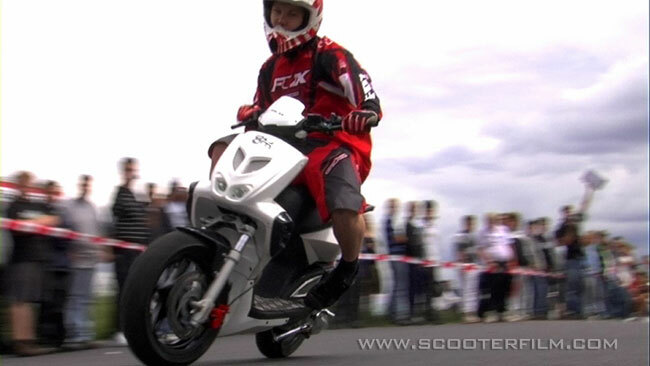 -Tips and tricks on how to get into scooter racing. 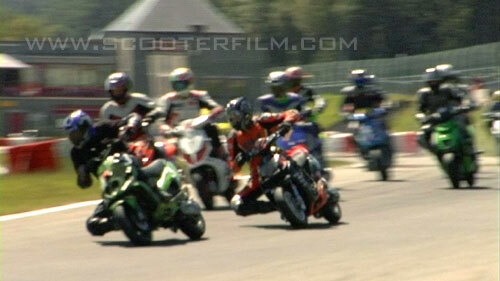 -ISDM race and Stage 6 Cup in Spa, Belgium. 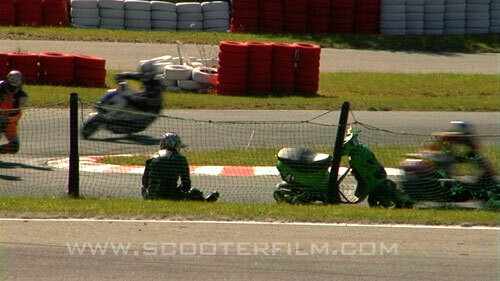 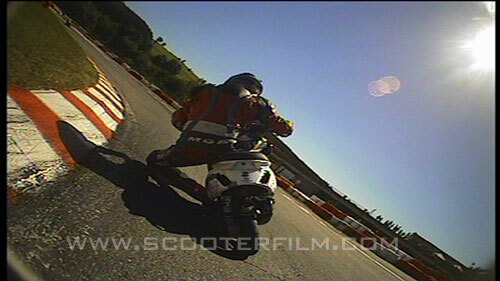 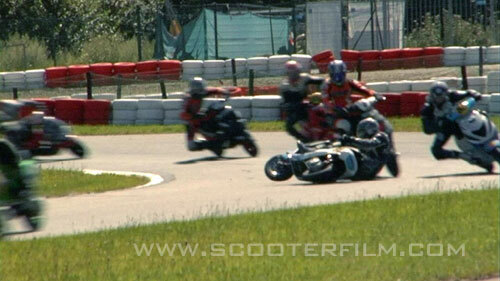 We got great shots and exciting race scenes from an onboard camera and cameras along the track. 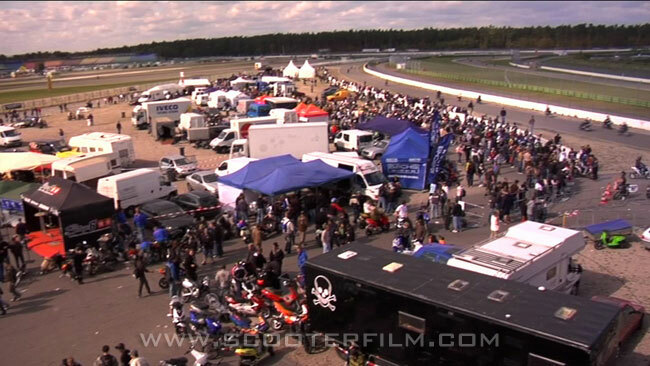 -Plus interviews of drivers and mechanics. 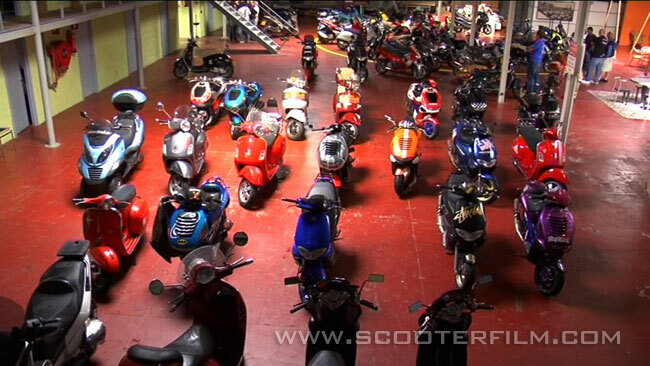 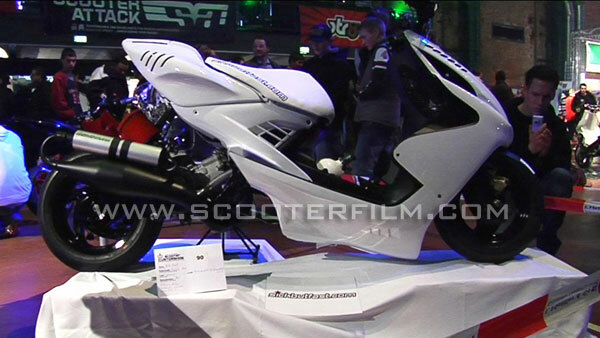 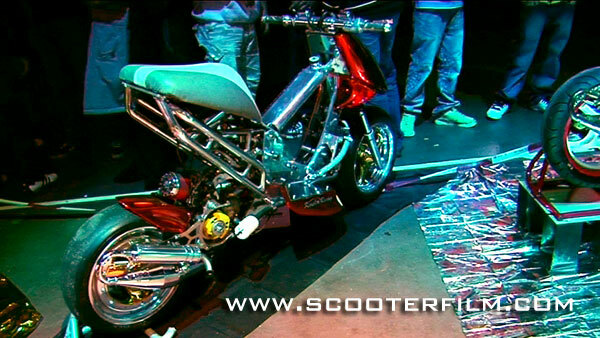 Around 2000 scooter enthusiasts visited this fantastic show. 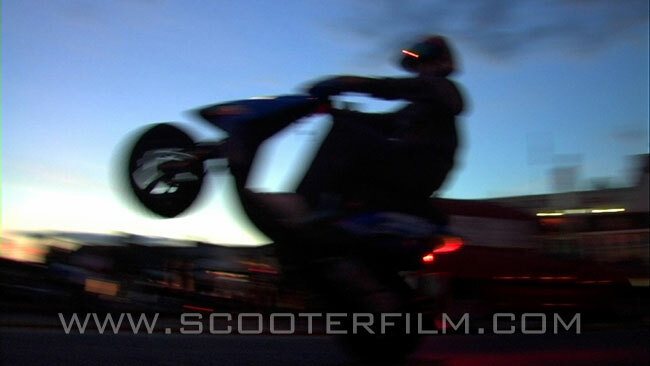 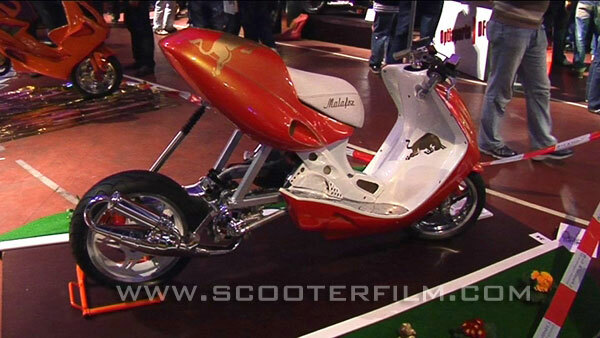 We got some nice shots of the best scoots and many interviews.